Circletype.js is a tiny (2.7kb) jQuery plugin that lets you set type on a circle. You can use any font, adjust letter-spacing as usual with CSS, flip it around so it reads counter-clockwise instead. You can also Set the radius manually or let CircleType.js figure it out for you. 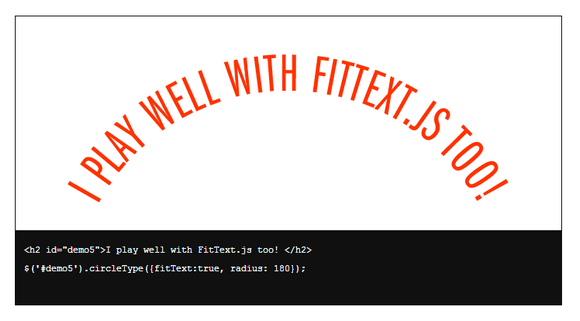 It play well with FitText.js. And best of all, it works in fluid and responsive layouts.